I was first introduced to Mercedes-Benz vehicles in 1967 when Heinz Gietz hired me as a technician for Mercedes-Benz of San Diego. Heinz is the one person I have to thank for my being where I am today. I worked at MBSD from June, 1967 until March, 1968. For the next five years (from March, 1968 to March, 1973) I worked at an independent shop called German Motors which was located in Pacific Beach, California. In May of 1970, we purchased two Mercedes. The first one was a 1961 220SEb. It is important to remember this car because it had a great bearing on our starting to collect and restore Mercedes-Benz. A week later, we purchased a 1967 250SE for my wife Terry. In 1973 I started working for Mike Rudin, Inc. This was a factory authorized Mercedes-Benz service only center. Later in 1973 I started a part time used Mercedes-Benz parts business. 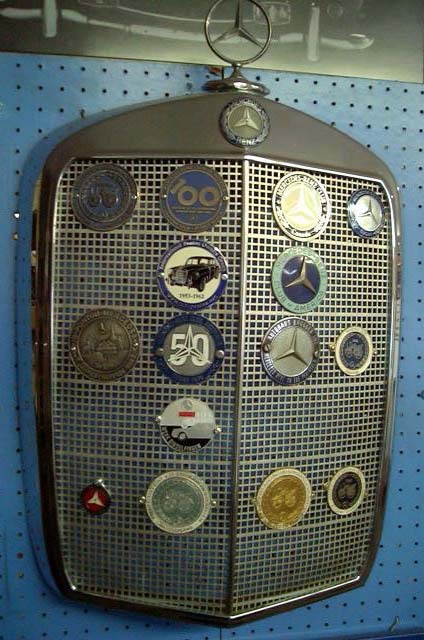 In 1974 we joined the Mercedes-Benz Club of America, San Diego section. I had the opportunity to open a new Mercedes-Benz dealership in El Cajon as its first service manger. This was in October of 1976. During my employment at El Cajon, Ltd. I continued and expanded my used parts business. Around my birthday in April 1977, there was an advertisement for a 1967 230S "Universal" station wagon in The Star magazine. I foolishly bought it sight unseen. When the Universal arrived from Texas, I found that it was so rusty I could save only the station wagon body parts. What I did was to literally cut apart the 1961 220SEb sedan and graft the Universal body parts to it. This car became the start our car collection. We still own this vehicle. By October 1979, the part time business had expanded to the point that I quit my job at El Cajon, Ltd. and went into the new and used Mercedes-Benz parts business full time. At this time we also opened a service department. 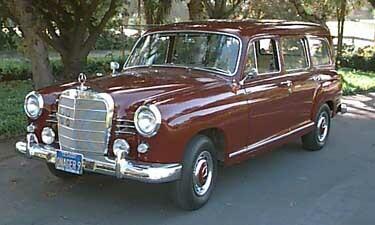 Ever since then we have been acquiring Mercedes-Benz vehicles for our collection. We now own (or perhaps they own us) thirteen Mercedes-Benz. Our collection now includes the following vehicles: 1951 170Da restored to 1941 Afrika Korps camouflage configuration and insignias, 1952 300 "Adenauer" with a divider window and fitted luggage, 1957 220S convertible, 1961 220SEb/230S "Universal” station wagon, 1963 190b Binz station wagon, 1965 190c Binz station wagon with right hand drive, 1966 200D hearse, 1966 250SE coupé, 1967 230 ambulance, 1967 200D long wheel base, 1974 280E long wheel base, 1976 280SL 5 speed, 1988 300TE station wagon. Bob purchased this car for $200 on September 15, 1984. It had 5,800 miles. This is the original color. The code is DB 516 "medium red." The car was a cream color when he acquired it. This vehicle was purchased in a lot of five cars purchased from an estate. All of the vehicles were Mercedes-Benz and were located in Fontana, California. They were purchased sight unseen by telephone. Of the five cars, only the 190b station wagon was operable. Before he died, the owner was planning to remove the engine and junk the car. 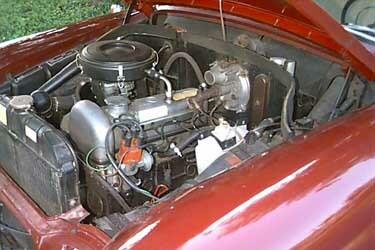 The 190b had all the problems associated with a car that had been sitting outside for many years. It had been assaulted by rocks, breaking the windshield and causing numerous dents in the body. The interior was totally destroyed. In the engine compartment and the interior, mice had been keeping house for years. My wife and friends looked the vehicle over and stated' "Only a complete idiot would try to restore that pile of junk." Well in spite of good sense, I decided to take on this restoration project, anyway. As you can see by the results, the vehicle was not a lost cause after all. 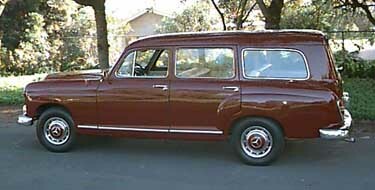 The chassis number of this 1963 190b wagon is 121.002-10-001733. Binz Body number 1540. Paint code DB 516 "medium red." The original cost was DM 12,750. I wrote the factory for any history they had available about this chassis. My questions to DBAG was, "This vehicle is registered as a 1963. What is the date the chassis was manufactured and the date it was delivered to Binz?" This was their reply: "The chassis only was delivered to Binz on September 3, 1959. 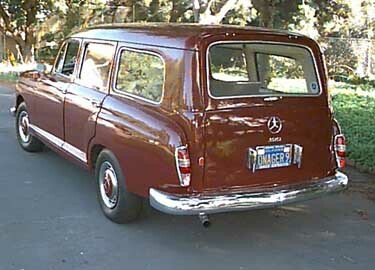 The complete vehicle was shipped to Mercedes-Benz of North America, on October 30, 1964." Next question: "This vehicle was built for the USA. Could it have been returned to MBAG who then sold it in the USA?" Answer: "Yes." My question is, "Where was it for five years?" I have heard (unconfirmed, unfortunately) that there were fifty of these "Binz" station wagons that were built to sell in the USA. I believe that my vehicle was on of these fifty. 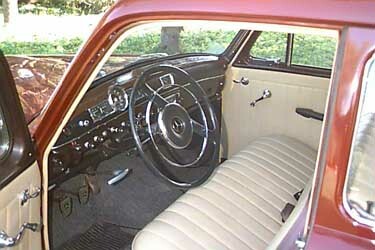 The car was featured in the May/June 1990 issue of the Mercedes-Benz Club of America's bi-monthly publication, The Star.